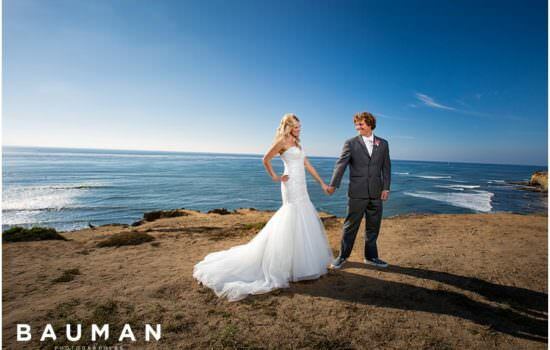 Jenell and Brandon’s glamorous wedding at Tom Ham’s Lighthouse was so summery and fun! It was designed perfectly for this adventurous, outdoorsy couple from Louisiana! Jenell and Brandon invested in an album, and their book definitely brings you back to their wedding day. Bold blues and gorgeous greens burst in the florals, and the arrangements are just as breathtaking as they were last summer! We are so head-over-heels for how vivid the kisses, laughter, the epic dance moves are in print! Team Bauman sizzles with talent, from Eder’s athletic feats of photography to Bronson’s incredible ability to get the most epic shots — even if he has to hang from a building to do it! 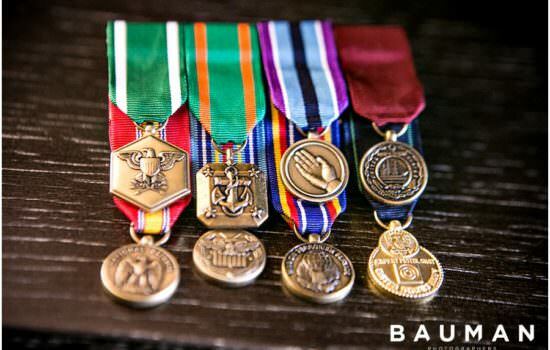 We always want to go above and beyond for our awesome clients. 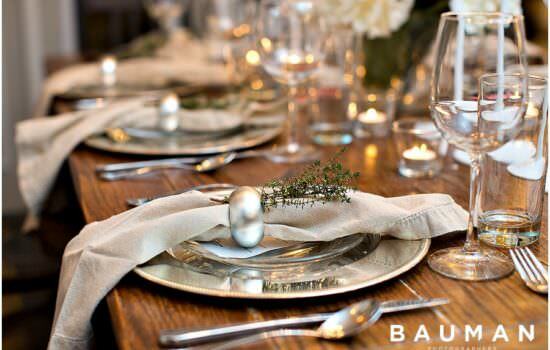 So, to celebrate the whole team’s hard work, we host the annual Baumies during award season. This time, we partied at Bronson’s beautiful home, with a delicious dinner prepared tableside by the executive chef of Eclipse Chocolate Bar & Bistro. Oh là là! 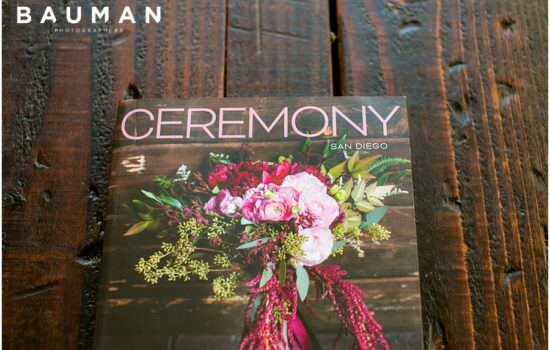 We are thrilled to see our inspiration session featured in the latest issue of Ceremony Magazine! With lavish styling by Brilliant Event Design, luxurious Parisian glamour pours from every page. It was so much fun to pour our personality and creativity into one of our favorite event venues, Luce Loft. Be sure to scroll all the way down to find all the fabulous artists who made this session so stunning. Tracy and Phil love zipping along the California coast, tracing their way along Route 1 in search of new adventures. These two are the kind of couple that rolls in style with the windows down, sunglasses on, and music blaring. We had so much time at one of Phil’s favorite courses, the world-famous Lodge at Torrey Pines. Tracy is so cute rocking her lacy parasol, and Phil looks epic blasting his ball out of a bunker! 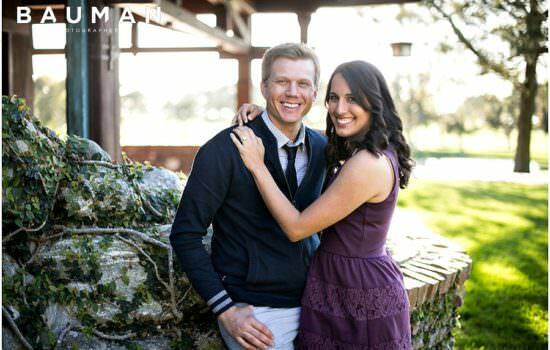 Jessica and Jon’s love story has taken them all over the world. They’re both in the Navy, and have lived incredible lives of adventure, traveling around the world and being stationed internationally — sometimes on opposite sides of the planet from each other. Because these sweethearts spend so much time a world away from each other, they invested in additional copies of their beautiful album. That way, no matter what continent Jon is on, and no matter what sea Jessica is sailing, they can open their copy and re-live page by page the same beautiful wedding story. Becca and Eric’s awesome album is the ideal way to re-live an epic day. 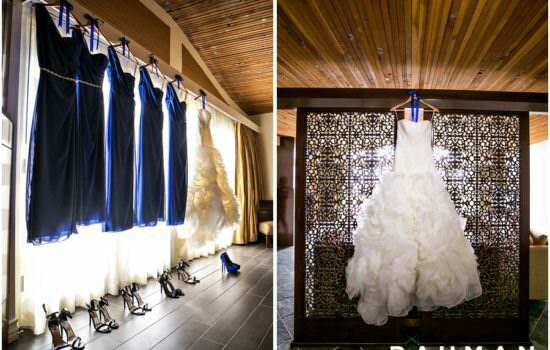 Their wedding at Omni La Costa Resort and Spa was unforgettable, and on every sleek, lustre-printed page, you can see more detail and color than any computer screen can show. 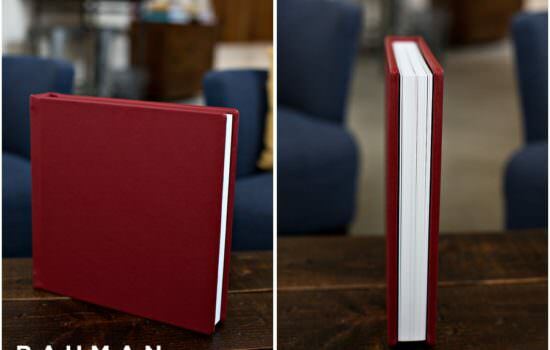 The beautiful styling, the heartfelt details, and the epic dance moves look so vivid – and in this custom book they’ll last even longer than a lifetime. If you are what you eat, then after indulging in brunch or dinner at Eclipse Chocolate Bar & Bistro, you are going to be sugar and spice and everything AWESOME. That is exactly what you’ll find in every exciting dish. 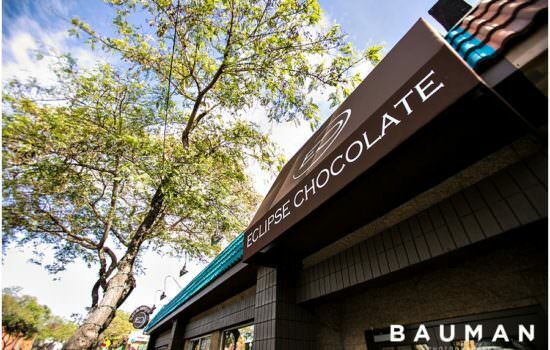 Eclipse is the only place where outstanding, eclectic cuisine truly meets delicious, decadent chocolate. Every single savory plate includes at least a hint of something sweet, from a kiss of caramel to a tantalizing touch of vanilla. 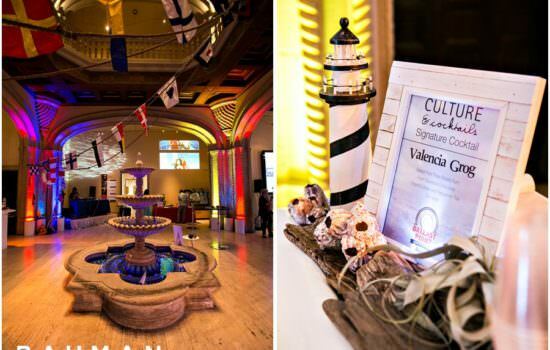 Culture & Cocktails: Havana Nights was a spectacular celebration of Cuban culture at the San Diego Museum of Art. Dazzling colors, thundering Latin music, scrumptious delicacies, and and delicious dark rum cocktails were the perfect things to enjoy alongside an impressive collection of Cuban contemporary art. Southern style met military flair at Nichole and Tim’s gorgeous wedding! The Prado at Balboa Park is one of San Diego’s most iconic venues, with its enchanting lavish Spanish Colonial Revival architecture. 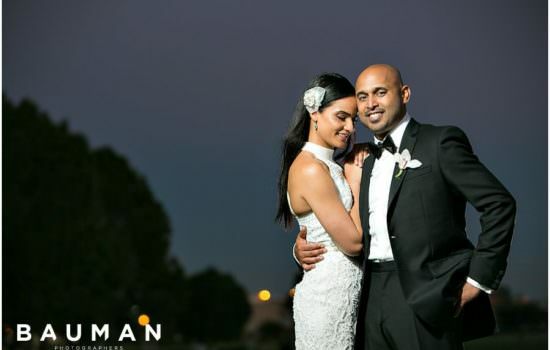 It was the perfect setting for this adorable couple’s emotional, intimate celebration with some of their closest friends and family. The serene portraits of Nichole before their ceremony are breathtaking, and that sword arch salute at their exit — stunning! 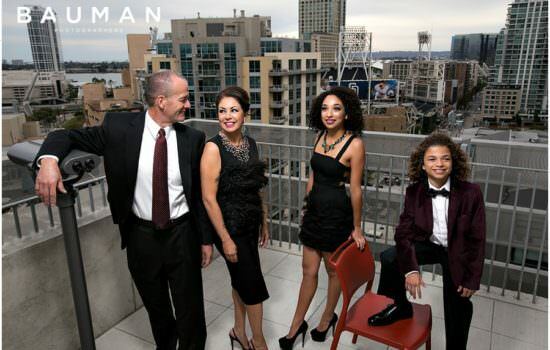 The Sierra Family’s portrait session at the San Diego Central Library was sleek and stylish. We love how they perfectly coordinated in elegant outfits, letting their personalities shine in unique, cool ways! The stunning cityscape sprawls behind this fashionable family, and the result is breathtaking. Liz and Ross are awesome, the kind of people that think big, smile big, and love big. 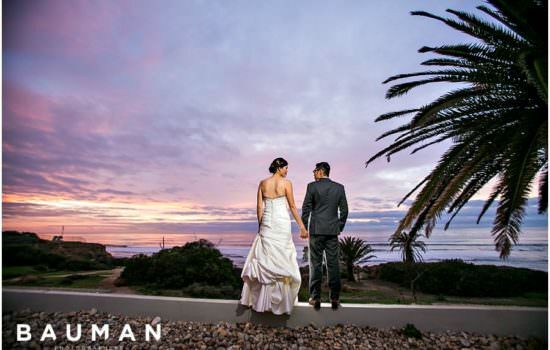 Their beautiful winter wedding day at L’Auberge Del Mar was jam-packed with style and laughter. We knew from their engagement session that Liz and Ross would rock the camera on the big day, and these two knocked our socks off. Jen and Judy are two awesome ladies who love studying history, zipping around town on their matching scooters – and, of course, hunting zombies. (Seriously, their horror expertise, makeup skills, and Thriller flashmobs are bone-chillingly cool). Be sure to check out their romantic engagement session and history-making wedding at the Admiral Kidd Club! 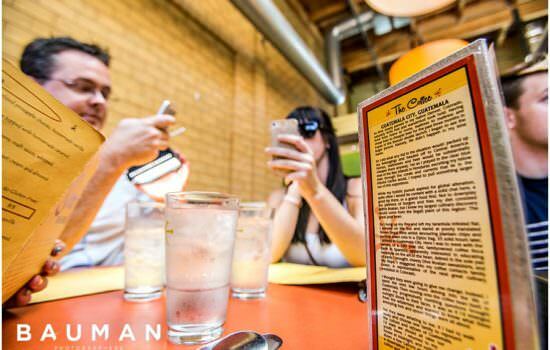 San Diego’s food scene is constantly changing! Most restaurants turn over faster than a happy puppy in a bacon factory. 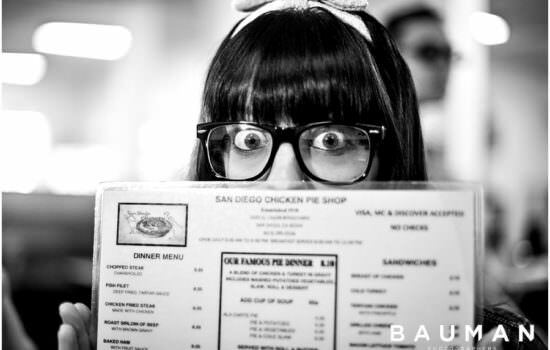 But the San Diego Chicken Pie Shop has been around for decades – and doesn’t even have a website. There’s no pretentiousness here, just comfort food. This place is one of the best spots to grab a bite along El Cajon Boulevard, and of course the best thing on the simple menu is a piping hot chicken pie drizzled in gravy. Be sure to swing by, and check out their epic collection of rooster figurines! As Becca and Roger carefully designed their winter wedding, they wanted to celebrate their family, friends, and faith. Their sweet style shined in every detail, and their sheer joy and excitement was clear from the very first moments of the big day. Becca and her girls were absolutely adorable, giggling together in their beautiful floral-patterned dressing gowns! 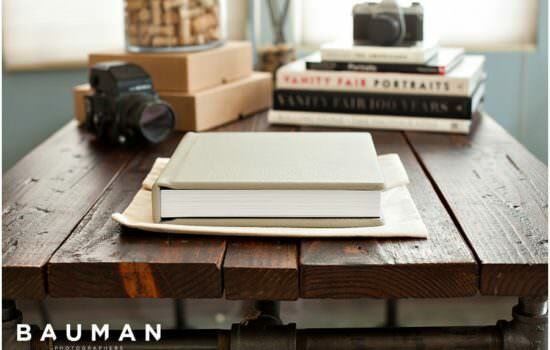 The holiday season is the perfect time to curl up with a good book by a crackling fireplace. 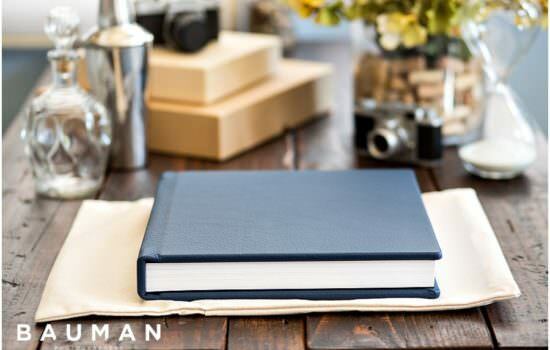 And what better book than an album of your favorite wedding images? 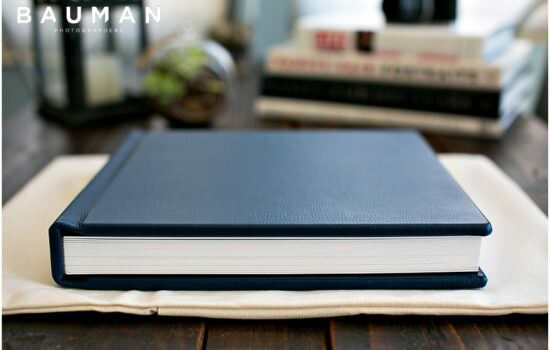 Bound in luxurious Italian leather and printed on silky-soft paper, our Artisan Albums are best way to re-live your wedding day. DeAnna and Randy’s wedding looks especially lovely and vivid on the deep matte paper. The soft blues and crisp greens are so warm, and their skin tones glow! We are so excited that DeAnna and Randy chose to invest in this timeless book, which they can now enjoy with their beautiful daughter for years to come! 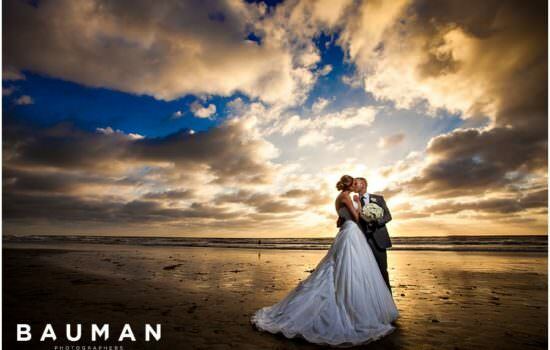 Pacific Beach was the perfect spot for Kate and Reed’s laid-back sunset session. 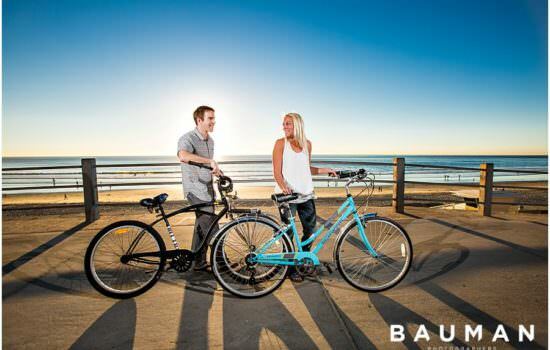 This gorgeous couple loves soaking up the sun, going on adventures on their bikes, and savoring all the awesomeness that San Diego has to offer. The shots of them zipping down the sidewalk are so sleek and cool, and exactly how they spend a perfect afternoon together! It’s beginning to taste a lot like Christmas! One of our favorite clients is The Cravory, and this sweet little cookie shop in Point Loma is bursting with popularity! Not only are their cookies delicious, but they are so easy to order and give as gifts (okay, you’ve been good this year — keep a dozen for yourself!). Made from sugar, spice, and everything nice, their current line of winter holiday cookies will warm your heart. Nathan and Asydea definitely belong in a magazine — or on the gorgeous, glossy pages of a book bound in luxurious, midnight-blue leather. 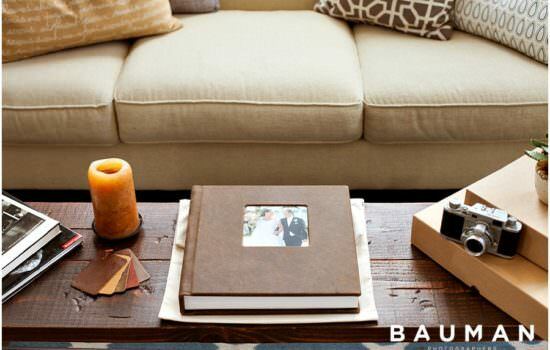 Page by page, their wedding album showcases the most personal details and emotional moments. Asydea’s beautiful tattoos, the delicate lace of her veil, and her dazzling smile somehow look even more lovely in print! Liz and Ross’ seaside engagement session in Encinitas is sure to sweep you off your feet! 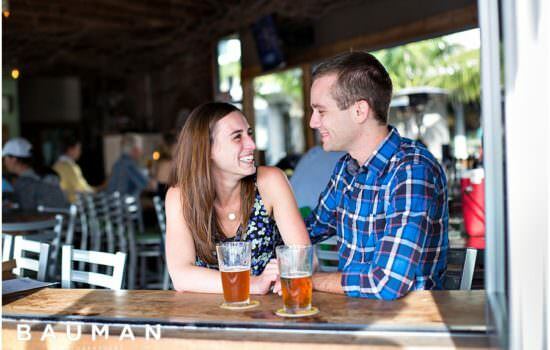 We started off their session at the historic Bier Garden of Encinitas, where Liz and Ross love sampling Southern California craft brews and saving coastal, local, beer-infused cuisine. Slipping down to the water afterwards, these sweethearts enjoyed soaking up the epic sunset together. 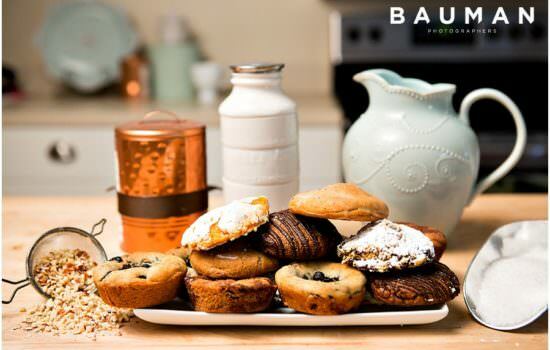 One of our favorite clients to work with here at Bauman Photographers is the the sweet little cookie shop, The Cravory – but we shouldn’t say ‘little’ anymore because this shop is blowing up with popularity lately! Their simple and easy cookie gift program plus the diabolically delicious cookies themselves are a combination for skyrocketing success. We definitely feel honored to have been a part of their growth over this past year! Just looking at these two nurses is enough to make you feel better! Martha and Mario are not only brilliant, and talented, and dedicated to helping others – but they’re also adorable. They met in nursing school at the University of San Diego, but Mario just couldn’t take his eyes off Martha, who sat on the opposite side of the room. 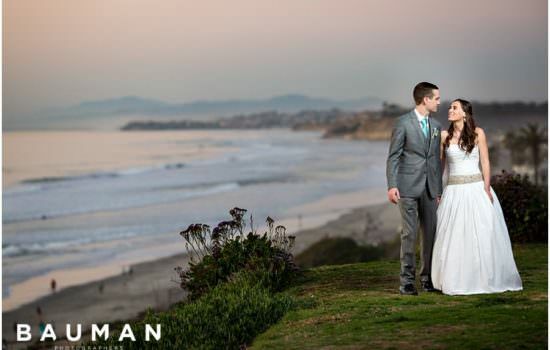 Ever since their engagement session at USD and Windansea, we couldn’t take our eyes off them, either! Marjorie and Max are unforgettable, with a sense of style (and sense of humor) that is timeless. 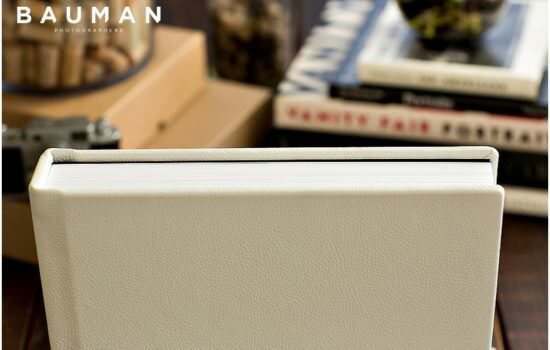 Their leather album just arrived, and we love how their custom design tells the story of their wedding day, from lovely start to epic finish. 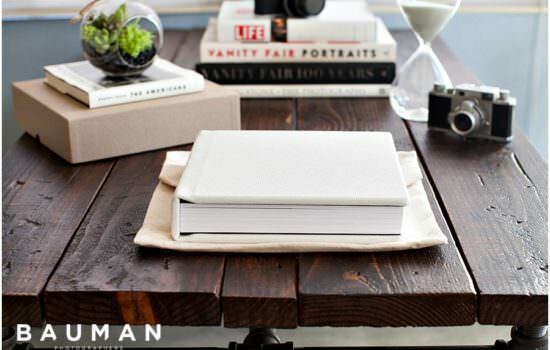 If you haven’t seen their blog feature yet, find some of our favorite photographs here! At Bauman Photographers, we take a lot of things seriously. 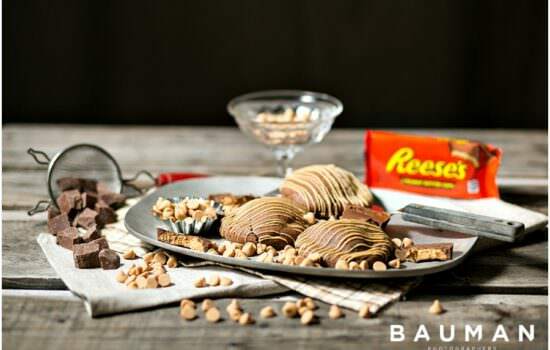 We take fun seriously, we take food seriously, we take creating epic, blow-your-socks-off photos seriously. We don’t, however, take ourselves seriously. We love adventuring around San Diego, having a great time enjoying new and nummy restaurants. 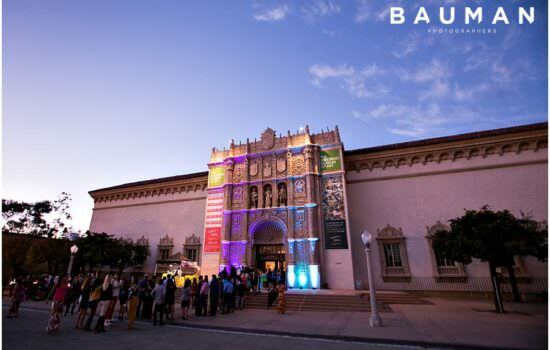 The San Diego Museum of Art‘s latest Culture & Cocktails event was an incredible celebration of their featured exhibition, Gauguin to Warhol. Inspired by Warhol’s groovy galas of the 1960s, people came dressed in their retro best to sample the signature cocktails (a “Campbell’s Soup Can Bloody Mary”) and some of the most iconic art of the past 150 years. From Picasso and Kahlo to Rothko and Pollock, the exhibition is truly impressive and beautifully displayed. The party was epic, with a Lichtenstein-inspired, Pop-art makeup station, great tunes by DJ Scott Roberts (rocking his Warhol wig), and his Go-go dance troupe! Be sure to keep an eye out here for other events at the museum! 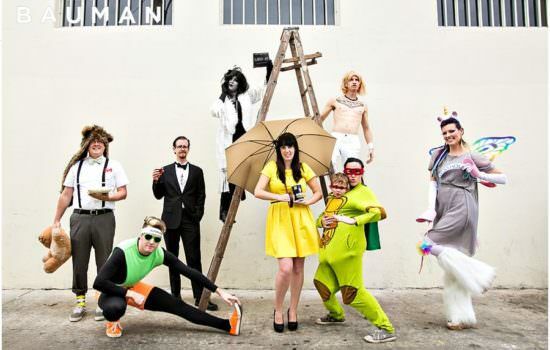 Happy Halloween from Boo-man Photographers! What happens when “Ring Bear,” an 80’s aerobics instructor, Tony Stark, The Silver Scream, the Morton Salt Girl, Hansel (“He’s so hot right now!”), two Mutant Ninja Turtles, and a magical unicorn grab a ghoulishious brunch on the spookiest day of the year? Check out the absolutely awesome brunch we had at Swami’s Cafe! Check out this sweet spot’s amazing bennies, wraps, and chilaquiles! Trinh and Daniel’s gorgeous day began with a Vietnamese tea ceremony at the home of Trinh’s parents. Trinh was absolutely radiant in her gold-embroidered Áo dài gown and Khăn đống headdress. Daniel was dapper, of course, sporting a classic suit with pink shirt and tie as he received his beautiful bride. It was truly beautiful to take time to pause together, and remember their families and traditions. Afterwards, Trinh and Daniel stole some moments together, joking and beaming with excitement that their wedding day was finally here! Jessica and Jon are epic, and their love story has taken them all over the world. They’re both in the Navy, and have lived incredible lives of adventure, traveling around the world and being stationed internationally — sometimes on opposite sides of the planet from each other. They met 14 years ago at Officer Candidate School, but the timing just wasn’t right. And then 12-and-a-half years later, Jon rolled through Italy. Their paths crossed, sparks flew, and ever since then they have been on a whirlwind romance! Kristin and Jacob’s world-spanning love story began in London, where they met studying cryptography: the practice of creating and breaking codes, which changed the course of World War II. These two were studying abroad, and it didn’t take these mathematicians long to figure out that Kristin + Jacob = Awesome. We just can’t get enough of them, and we weren’t the only ones! 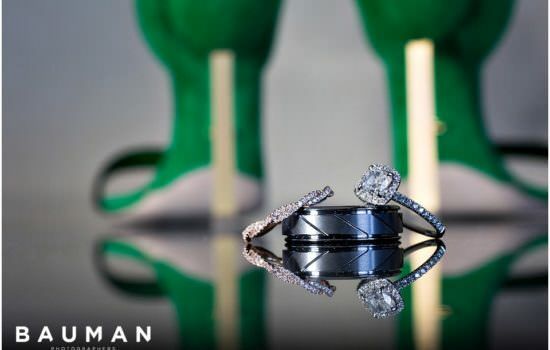 Their unbelievable engagement session was even featured on The Bride Suite, the blog by Exquisite Weddings! 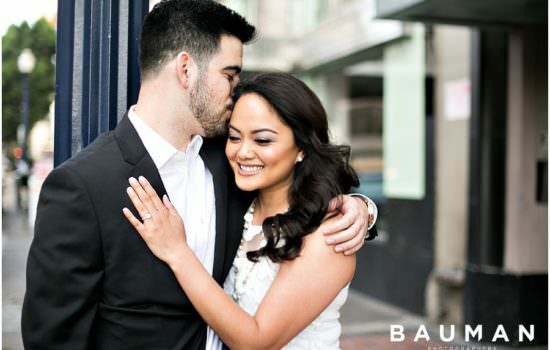 With Erica and David, their beautiful hearts come with beautiful style. This jaw-droopingly gorgeous couple met at Burberry, and quickly hit it off. Adventurous and playful, their first date — and first kiss — was a thrilling spin around the ice rink at Westfield UTC, and David definitely swept Erica off her skates. When he proposed the following Thanksgiving, it came as a complete surprise. David was making toasts, sharing all the things he was thankful for — and that was the moment to add one more thing to the list! 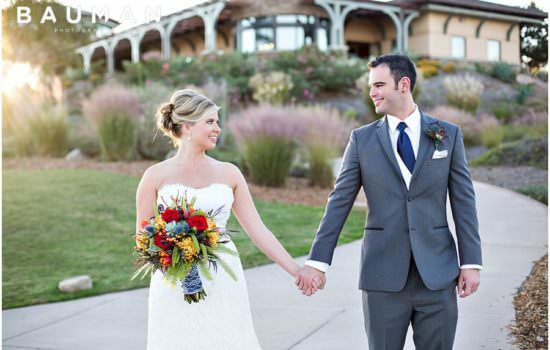 Caitie and Chris’ wedding celebration at L’Auberge Del Mar was stunning, joyful, and timeless. 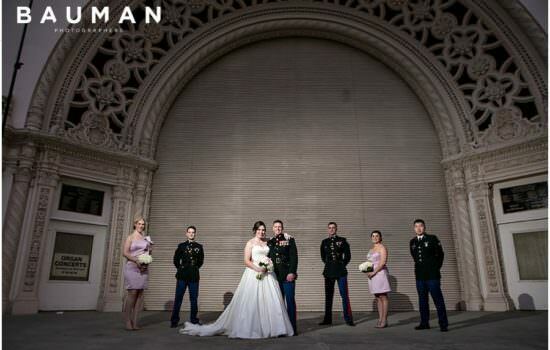 Designed by Krissie Simek, every aspect of the wedding had an elegant, intimate quality. 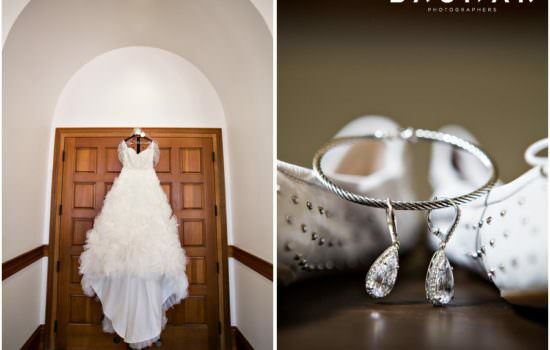 As Caitie and Chris got ready for the day, the atmosphere was calm and relaxed, filled with laughter and smiles! 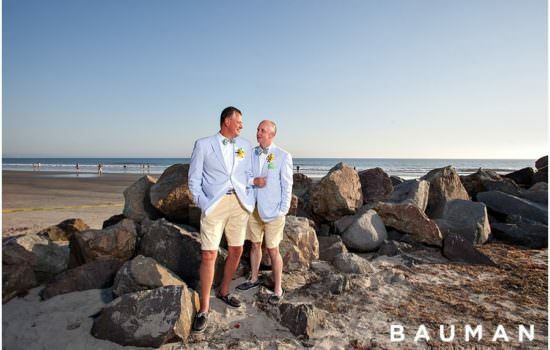 The guys were dressed in sharp, grey suits, and their rose boutonnieres provided a pop of crisp white that was a classic and refreshing touch. Caitie’s flowing dress was lovely, and her girls wore gorgeous green dresses. With their bouquets by Moments in Bloom, Caitie and her girls were truly breathtaking! When Rita met Rob, they were new neighbors. He had come from Boston and she was from Minnesota, and they bonded over a love of adventure. These two love hiking and camping, and spending time in the sun with their beautiful daughter Ruby. 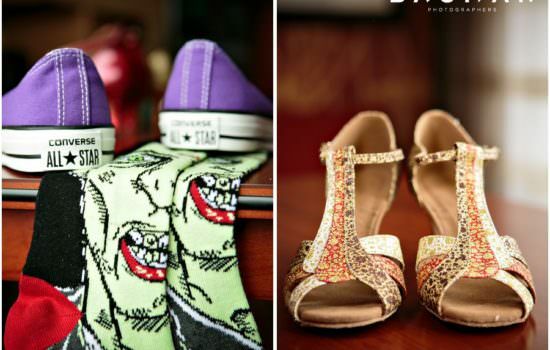 When it came to their wedding, they knew they wanted their celebration to be beautiful, personal, and unforgettably fun. 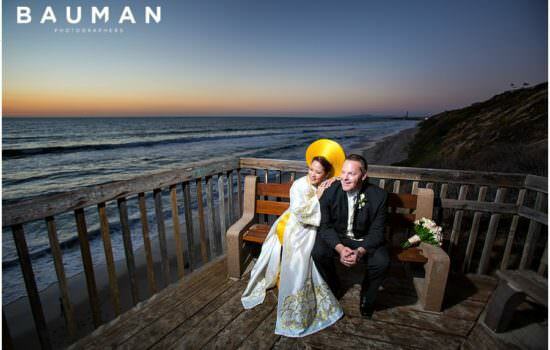 Jenell and Brandon’s glamorous wedding at the historic Tom Ham’s Lighthouse was so summery and fun! 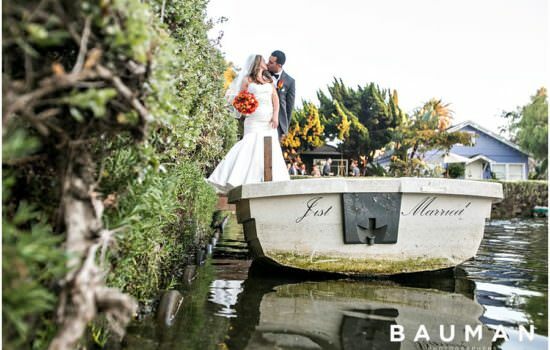 We love how Swann Soirees designed the day to perfectly fit this adventurous, outdoorsy couple from Louisiana! Bold blues and gorgeous greens burst in the florals by Exquisite Blooms, and their arrangements were as breathtaking as the views of downtown San Diego. Jenell and Brandon’s ceremony was so emotional, too, full of tears and laughs – and the reception was unforgettably elegant, with epic moves on the dance floor. So excited to share some favorite photographs from their big day! Ever since their epic engagement session, we have been so excited for Karlee and Nate’s wedding. To say we are head-over-heels for these two is not enough. Head-over-heels-over-a-shark-over-a-volcano is more like it. These two are unbelievably awesome — stylish, elegant, fun, and so completely in love with each other that every portrait of Karlee and Nate makes our hearts do backflips. When the San Diego summer gets blisteringly hot, it’s time to throw on your favorite furs and head on over to Hillcrest for a Snooze. This badass brunch place is nestled in the heart of Hillcrest, and it’s the perfect spot for a scrumptious pile of pancakes, or the best bennies. 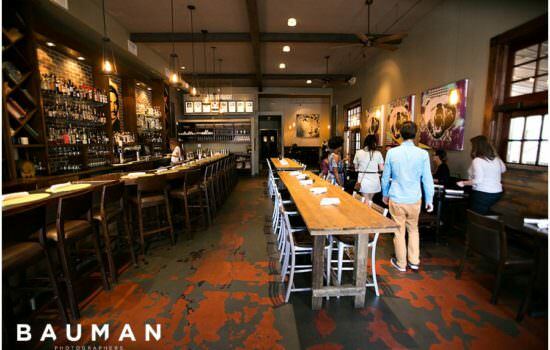 The restaurant is so groovy, with cool mod furnishings — and really excellent A/C. The staff is fun and playful, and they know how to get creative with the menu. It was really easy to come up with something custom that hit the spot exactly! Orquidea and Bret’s wedding at Cuvier Park was dazzling! Beginning the day with Orquidea’s finishing touches, our breath was taken away! The dramatic flow of Orquidea’s dress and her shimmering shoes by Lulu Townsend let Orquidea shine. The details were so sweet, heartfelt, and thoughtful — from Jenga pieces for guests to sign, to Bret’s silver cufflinks with a love note from Orquidea hidden inside! The cakes were unbelievably cute, with the main cake decorated with a curling floral design in blue and pink, and the groom’s cake was an adorable sea turtle. 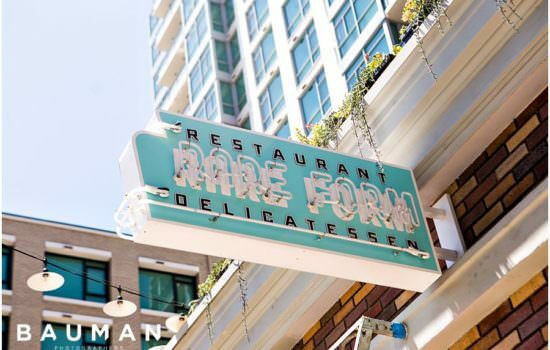 Magnificent ambiance and robust flavors collide at Rare Form, exploding into a glorious fireball of pure deli deliciousness that you can find pressed between two crispy slices of bread — or, if you prefer, waffles. Every tongue-tantalizing morsel was perfect, from the juicy pastrami to the crisp pork belly. Their cocktails were sleek and bold, creative but not overcomplicated. The portions are big, the prices are low, and the inviting Old World ambience is just as outstanding as the food. Nestled in the East Village right next to Petco Park, this is a perfect spot for a filling meal, a romantic date, or a rendezvous in the new, hidden rooftop bar! At The Cravory in Point Loma, a team of brilliant bakers creates the ultimate cookie experience. 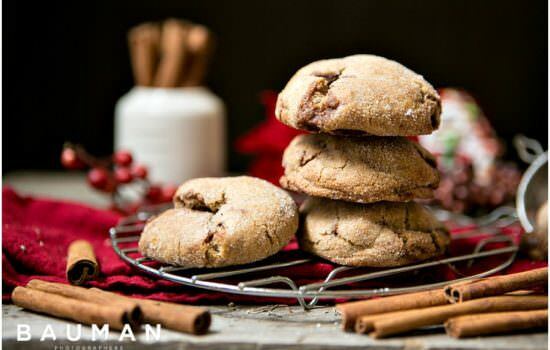 We love photographing these cookies almost as much as we love gobbling them up afterwards! If you haven’t tried their cookies yet, we promise it will be love at first taste! We’re so excited to share a sample of some of our favorite photos from the past few months. 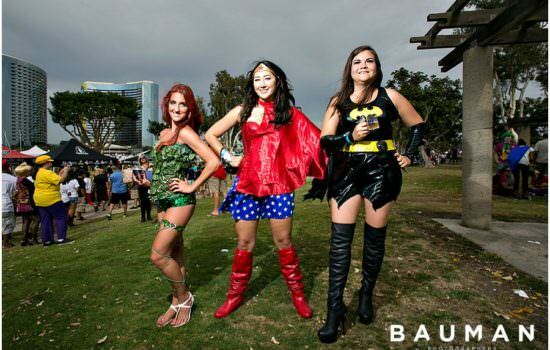 At San Diego Comic-Con, you’re going to see a lot of awesome superheroes. But one way to make this epic convention even better is with unlimited samples of over 80 of California’s best craft beers from over 40 of our best breweries. If you missed it this time, be sure to check out next year’s Heroes Brew Fest — and be sure to enter the costume contest! Kerri and Kasey’s summer wedding was unforgettable! These stunning sweethearts selected a palette of rich blue accents, and their eye-catching style was perfect for Paradise Point, with its lush greens and vibrant tropical flowers. Kerri’s gown was gorgeous, and our breath was taken away by its sleek bodice and dramatic ruffled skirt. We loved capturing portraits of her with her beautiful bridesmaids getting ready for the big day! Kasey’s suit was a classic cut, and we just could not resist capturing some Mad Men-inspired portraits of him and his dapper group of guys. For some of our awesome couples, it’s just not enough to give their heart. With Jen and Judy, these zombie experts gave each other their braaaaains. Ever since their super-fun engagement session, we’ve been head-over-heels excited for their wedding celebration at the Admiral Kidd Club. These beautiful ladies let their personal styles shine, whether rocking classic zombie socks and purple Converse or a dazzling purse. 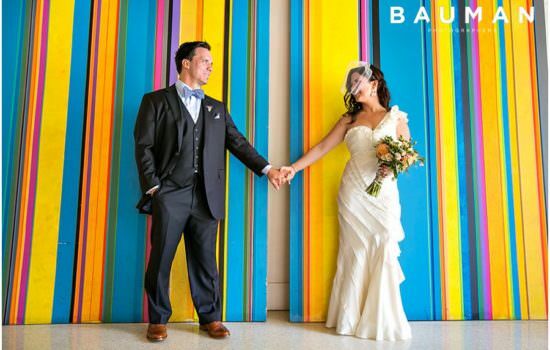 We love how colorful their day was, too, with splashes of rich purple, sunshine yellow, and bold red. But our favorite details had to be their fantastic Thriller dance — and the amazing zombie cake Flour Power created! 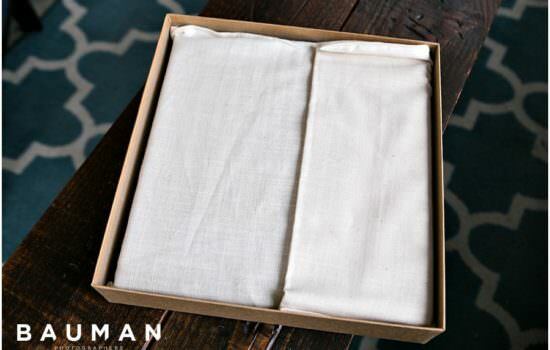 Every time a wedding album arrives at Bauman Base, Bronson does the Glorious Handstand of Celebration. Just take a look at one, and you’ll see why! 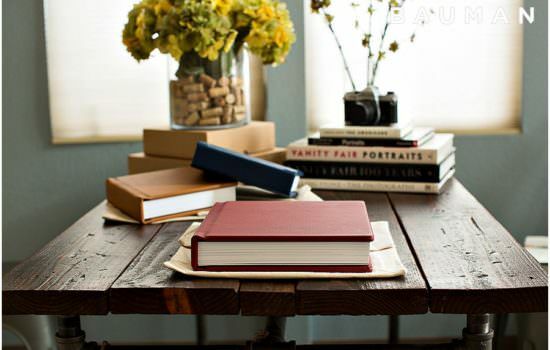 These books are heartstoppingly gorgeous, custom designed, and lovingly handmade. You can find out more about our albums here! Sam and Bill’s wedding at Twin Oaks was breathtaking, and their album vividly tells the story of their day, with their favorite moments arranged in a sleek, timeless design. 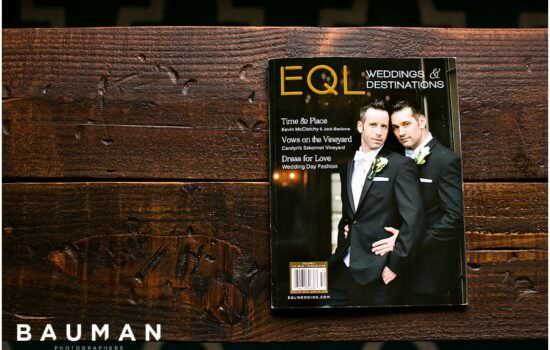 We love how every page overflows with rich colors and textures, laughs and tears, and all the personality and charm that make Sam and Bill completely unforgettable! Summertime in San Diego means more Culture & Cocktails! 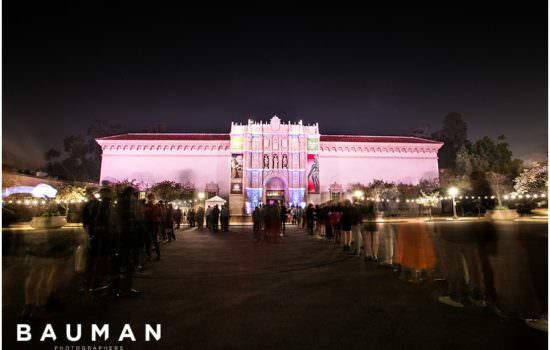 The C&C parties at the San Diego Museum of Art are incredibly fun, with great music, great people, and the perfect pairing of delicious drinks with awesome art. This latest party celebrated the new exhibition of Joaquín Sorolla’s paintings of sun-soaked beaches, and we’re so excited to share some of our favorite photographs. So, throw on your swimsuit and set sail – check out the delicious nautical cocktails by Ballast Point, the seafaring photo-booth, the shuffleboard, and mini-speed boat racing! And also be sure to keep an eye out for the the next Culture & Cocktails!